LAEDC hosted its second R.E.D Talk on 3/30, and heard some surprising and captivating stories from the co-founders of Lucid Sight Inc., Octavio Herrera and Randy Saaf, who are both serial entrepreneurs that have sold prior companies for millions of dollars. Attendees enjoyed the sunset from WeWork’s Hollywood rooftop as LAEDC’s director of innovation Chris Rico hosted the conversation, as part of this series on Regional Economic Development (event photos can be found here). Perhaps most interesting was a guiding principle both Octavio and Randy credited with their success; starting up companies in emerging mass markets, and pivoting the business plan almost continuously as market conditions changed. For example, they discussed the launch of the iPhone, their immediate jump into the market to develop games for it, and continual rethinking of strategy to stay relevant and gain traction, without as much initial concern for revenue models. As their company (Jirbo / AdColony) adapted and became a major market player in this space, they then refined the business model and settled on a monetization strategy. Eventually, they sold AdColony for $350 million. Octavio and Randy told a similar story about their first startup MediaDefender. Now with Lucid Sight, both co-founders are again positioning the company in the thick of the rapidly developing Virtual Reality market, surrounding themselves with the best developers and a nimble and flexible management style that allows them to pivot. They are again leaving the monetization strategy flexible, enabling them to follow and capture emerging opportunities. Los Angeles, long renowned as a hub for creativity and innovation, has fostered the organic growth of a budding Virtual Reality (VR) industry. With its unique blend of top-notch universities and creative ecosystem, Virtual Reality companies have taken root in LA and are poised to usher in the next generation of entertainment. Virtual Reality is one of the many interesting technologies emanating from the loosely defined Entertainment and Digital Media industry cluster in Los Angeles County. This is one of several key export-oriented industry clusters in which our region has competitive advantage, and which supports tens of thousands of well-paying, skilled jobs. LAEDC fosters the growth of these key industry clusters to help employers create even more well-paying jobs, to increase opportunity, prosperity, and standards of living for the region’s residents. To learn more about the work of industry cluster development you can review the Strategic Plan for Economic Development (Goal 2) or contact LAEDC’s Industry Cluster Development at [email protected], or 213-236-4852. Octavio Herrera is the Co-founder and EVP of Lucid Sight, Inc. Lucid Sight, Inc., a company that develops Virtual Reality (VR) games and experiences for the new generation of VR devices (Daydream, Samsung Gear VR, Oculus Rift, HTC Vive, and Playstation VR). Lucid Sight also provides advertisers an immersive and innovative platform to engage with VR users. Previous to Lucid Sight, Octavio co-founded mobile game company Jirbo, Inc. in 2008. In 2011 Jirbo was renamed to AdColony. AdColony has become the leading mobile video advertising platform trusted by top grossing mobile app developers and Fortune 500 brands. AdColony was purchased by Opera Software for $350MM in 2014. Previous to that Octavio was Co-founder and President of MediaDefender, Inc. Octavio started MediaDefender in 2000 and grew it into the largest Internet anti-piracy company in the world. In 2005 Octavio sold MediaDefender to ARTISTdirect, Inc for $42.5MM. Previously, Octavio worked as a software engineer at Raytheon Systems Company. Octavio received a BA in Physics from Occidental College in 1998 where he now serves on the Board of Trustees. Randy Saaf was the chief executive officer and founder, of MediaDefender, Inc., which was purchased by ARTISTdirect, Inc. in 2005 for $42.5 million in cash. Saaf co-founded Jirbo, a large developer of iPhone games, in 2008. Jirbo was sold to Insight Venture Partners in 2010. Randy has testified before Congress on Internet copyright violation at least three times, and has worked with Senator Patrick Leahy, Senator Arlen Specter, and Senator Orrin Hatch to prevent infringement. Randy appeared in a “60 Minutes” segment on copyright infringement on 31 October 2003, where he talked about his efforts to prevent it.He has also been a prime source for other leading news organizations, and has authored many articles against unauthorized media distribution. A Fresno native, he attended the University of California, Irvine, after graduating from Edison Computech High School (in 1994). He then transferred to Harvey Mudd College and graduated in 1998. Saaf graduated with a B.S. degree in engineering. He spent less than a year with defense technology giant Raytheon, where he worked closely with airborne signal processing—systems that extinguish incoming missiles. Randy left Raytheon to start the website with friends, InterFriendly.net. It was designed to use P2P technology to give small businesses the ability to transfer large and numerous files. 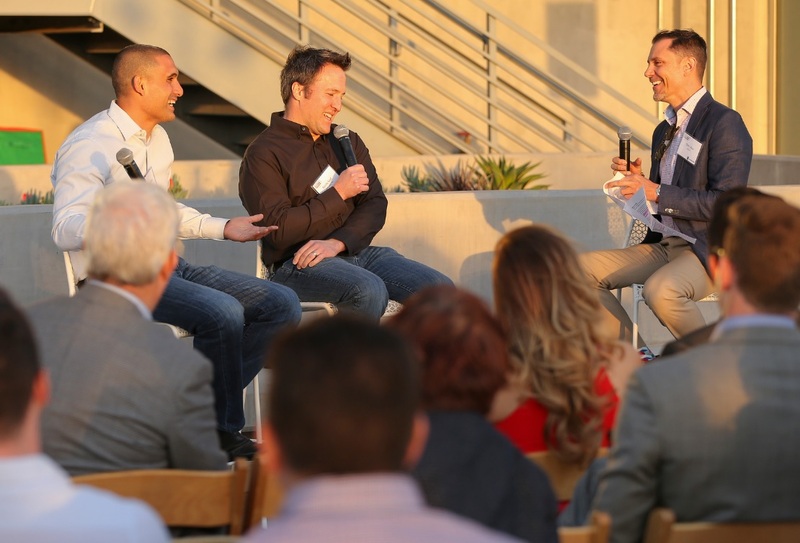 What do the brightest entrepreneurs in L.A. County’s future know that you don’t know – yet? R.E.D. Talks is a series of three in-depth discussions with the change agents and innovators who are creating new paradigms and breaking new ground in some of the most dynamic industries across our region. Many of the thought leaders now taking the lead in the new global economy have well-established roots right here in L.A. County. 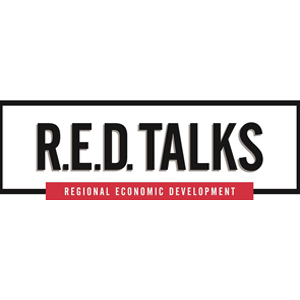 This diverse group of influencers will share their visions for Regional Economic Development (R.E.D) and the role the business community can play in securing a sound future as one of the world’s most vital economic powerhouses. 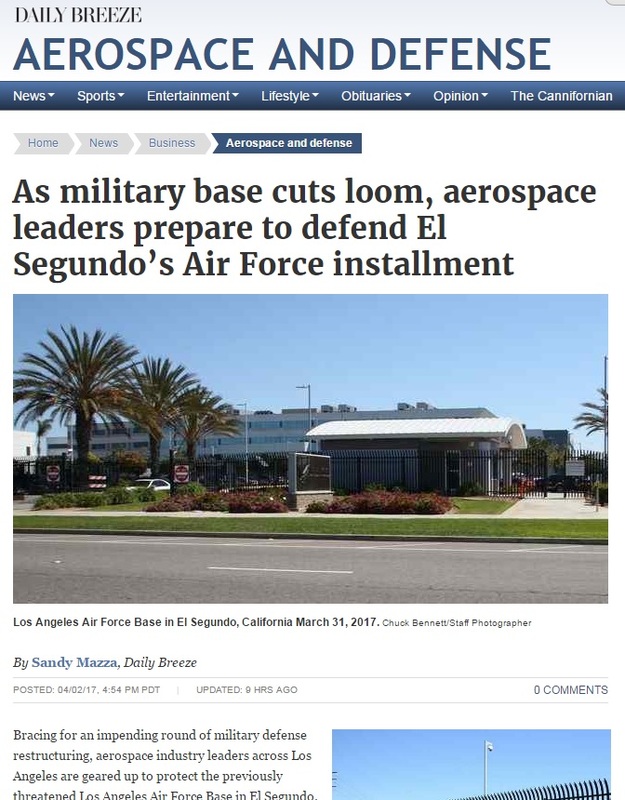 Engage at R.E.D. Talks with the innovators who are charting the global economy’s future right here in Los Angeles.